There was little fanfare at Augusta National on Friday, but quietly Ian Woosnam brought down the curtain on his Masters career. Such an unassuming farewell is probably how the ‘Wee Welshman’ would have wanted it – removed from the schmaltzy goodbyes bestowed upon other former winners – but it’s a significant event as Europe’s ‘Big Five’ drifts into memory. Seve Ballesteros, Nick Faldo, Bernhard Langer, Sandy Lyle and Woosie. Each born within 12 months of one another – the late Spaniard was the oldest – and all Masters champions. It truly was the golden generation of European and British golf, and Ian Woosnam was very much part of that. Born in Oswestry and growing up on the Wales-England border in Shropshire, the diminutive Woosnam spent his teenage years competing at amateur level in the county with his focus intent on beating Lyle, the tall and physically broad prodigy of Scottish lineage who dominated the scene in those formative days. "I'll get you one day, Sandy Lyle!" was the apparent rallying cry of the young Woosnam. Rivals, contemporaries, but ultimately friends, who can now reflect on those bygone days both wearing Green Jackets. Woosnam’s professional breakthrough came at the 1982 Swiss Open – several years behind Lyle who had topped the European Tour Order of Merit in 1979 and 1980 – but it was just the beginning of tremendous success to come, eventually totalling up 29 victories on the circuit, including two PGA Championships and the Masters Tournament in 1991. Indeed, such was Woosnam’s consistency during this time, he came to Augusta as the world number one. Sensational rounds of 66 and 67 on the Friday and Saturday of that Masters had Woosie one shot ahead of the great Tom Watson. It was an enthralling final round, with former champion Ben Crenshaw and a youthful Jose Maria Olazabal in the midst of contention, but it was to be the Welshman’s day, validating his status in the game with an air punching par putt on the last to complete a victory that captivated viewers back home across the Atlantic. Following Lyle in 1988, Faldo in 1989 and 1990, these were halcyon days for British golf. Eight-time Ryder Cup player, and winning captain at the K Club in 2006, Woosnam was a part of the fabric of the European Tour, but his wider achievements have perhaps gone underappreciated. Twice a winner of the Order of Merit, he spent 50 weeks – effectively a full year – as the top ranked player on the planet, far surpassing the total accumulated by the likes of Nick Price, Vijay Singh, Jordan Spieth and Fred Couples. Despite standing at just 5 ft 4 1⁄2 inches tall, at his peak, Woosnam was among the longest drivers on tour, possessing a swing that was a catalyst of power. It would be fair to argue – pound for pound – that Woosie was the biggest hitter in the history of professional golf. That’s how good he was. But for every Masters champion, there comes a time to step down from the tournament. Uniquely here, that decision rests with the individual. There is no age limit. It’s a conflicting dilemma for many; the opportunity to taste the atmosphere of Amen Corner and relive past glories is a difficult experience to give up – but for Ian Woosnam, it was finally time after 31 appearances in the season’s opening major. It was a declaration he notably made three years ago – on the 25th anniversary of his triumph – but later relented on the urging of his wife, Glendryth. 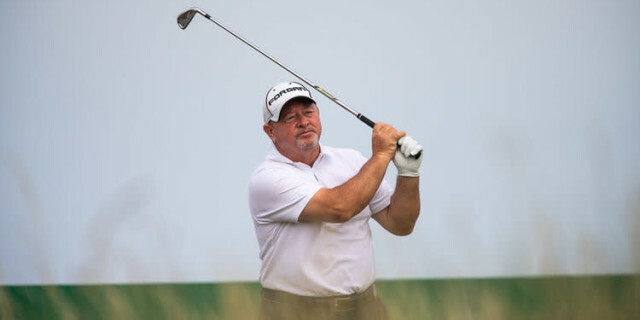 Having long contended with Ankylosing spondylitis – a chronic inflammation of the spine – the famously undulating hills of Augusta had long taken their toll physically on Woosnam, who had only made the halfway cut twice this century. There were flashes of the old Woosie on Friday, making three birdies on route to a 76 that followed his 80 on Thursday. Afterwards, the 61-year-old confirmed that he had played his final Masters. “No, this is the last one. So sad to go. They treat their champions here like nowhere else, and Woosnam will always have the right to return to Augusta National and participate in the Par 3 Contest, enjoy the Champions Dinner, and sample the hospitality of the Masters, reflecting on his place in the event’s history. For Europe’s ‘Big Five’, the window is beginning to close. Seve Ballesteros tragically lost his life to cancer in 2011, Nick Faldo stopped playing in the Masters 13 years ago, and now Ian Woosnam will be a spectator. 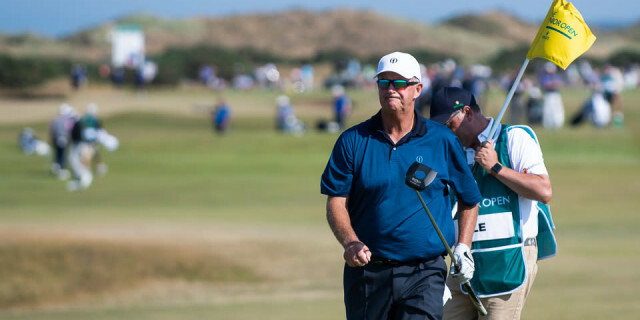 Sandy Lyle missed the halfway cut by a shot and feels encouraged by that credible performance to return next April, while Bernhard Langer continues to defy age, but for the greatest generation, their formidable and storied era is reaching its conclusion. Physically, Woosie was the smallest of the Big Five, but he maybe had the largest competitive heart of the bunch. His place in that company won’t be forgotten, nor will that memorable Sunday down Magnolia Lane 28 years ago.